A getaway at White Doe Inn of North Carolina is not complete without experiencing one of our soothing spa treatments. Our holistic and nurturing treatments are designed to encourage relaxation, enhance circulation, eliminate toxins, and minimize stress. The treatments are provided in the tranquil seclusion and privacy of your guestroom. To further indulge your senses, we bring you the highest quality in pure and natural products developed to cleanse and heal your body and soul. We recommend that you make your appointment as soon as possible, as treatments do book well in advance. All spa services at the Inn must be booked through the Inn. Swedish Body Massage – A whole-body Swedish Massage to help you release everyday stress, leave all cares behind, and find that place of tranquil peace. Especially prepared to meet your body’s needs. Chose the essence that pleases you! Try It with Stones – Hot and cold stone body massage with handpicked river stones. This exotic treatment involves a Swedish Massage accompanied by heated polished lava stones. Warm oil is applied to the skin while hot stones are gently stroked into your sore muscles. This treatment will encourage deep relaxation and calm the soul. The Trilogy – Head, Hands, and Feet – An ancient Chinese technique that uses pressure-point massage on three of the body’s most sensitive areas to restore the flow of energy throughout the body. Hot steamy towels complete this relaxing and revitalizing experience. The Ultimate Disconnect for Two – Disconnect Your Mind, Body, & Soul · A whole-body Swedish Massage, Face & Scalp Treatment, and Hands & Feet Treatment ends with the ultimate in luxury: “Taking the Waters”. After your treatments, a specially prepared hot bath will be drawn, the candles lit, music playing to set the mood, and a bottle of champagne with chocolate-dipped strawberries will await you. Best of all, this spa treatment takes place in the privacy of your own bedchamber and bath. 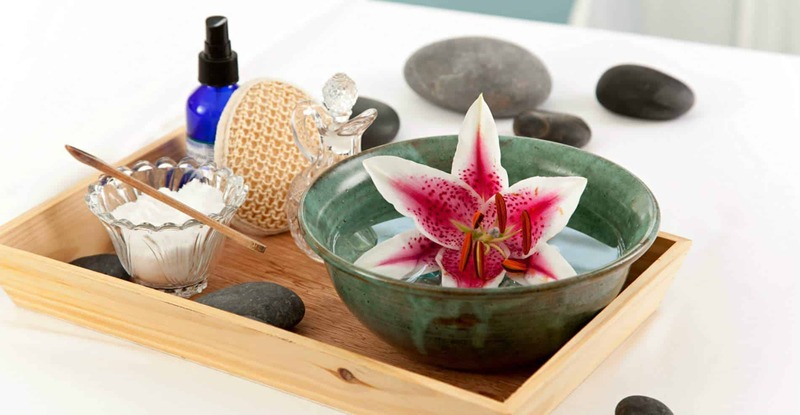 And, just so you don’t forget us, we will send you home with a specially prepared Spa Gift. This treatment is only available in the following rooms with two-person tubs: Garden, Virginia Dare, Garret, Tower and the White Fawn Cottage. Changes to Services and/or cancellations must be made 72 hours prior to your appointment. Cancellations after 72 hours will be charged full amount for any and all services booked. If cancelled within 7 days, a cancellation fee of $25.00 will apply per service.